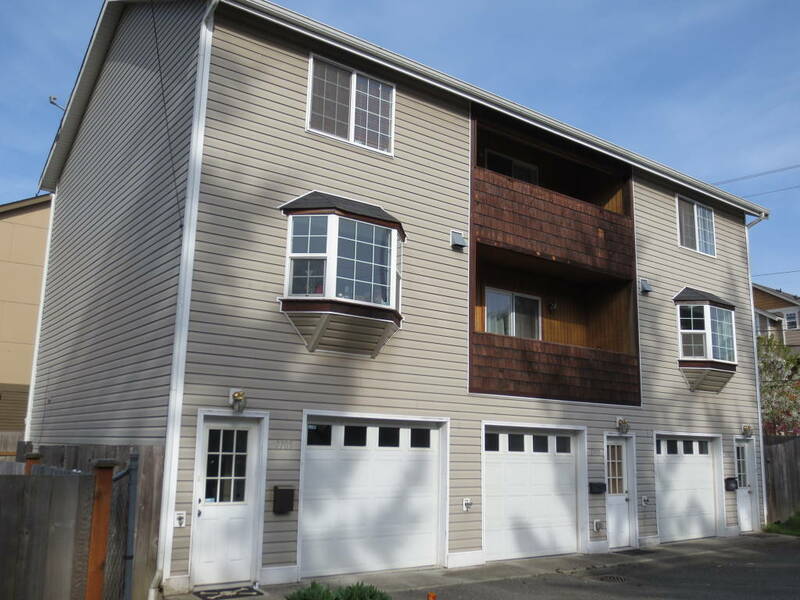 Sun-drenched townhome on south end of triplex in super convenient West Seattle location. NO HOA DUES. Modern features include marble entry, bamboo flooring, oak hardwoods, and top floor vaulted ceilings. The light and bright living room is spacious and the eat-in kitchen offers a large bay window. Posh powder room with slate tile will impress your guests. Two bedrooms and a full bath on the top floor have vaulted ceilings. Tucked behind the garage is a bonus flex space and laundry room that lets you expand your hobbies or set up an office while keeping out of the way. Bonus room leads to a good sized fenced back yard with brick patio and raised garden beds. Plant your victory garden and settle in to the great Highland Park community, close to visiting food truck pods, Westcrest Park with its off leash area for dogs, p-patch community garden under construction, and Westwood Village which has everything else. Super easy access to freeways, this home is a commuter's dream!